How To Smile is a collection of math and science resources for teachers and students. There are activities that help teachers connect science and math to pretty much anything, including things in the students' homes. The site is hosted by a group of science museums and collects STEM education materials from the web, as well as from educators. 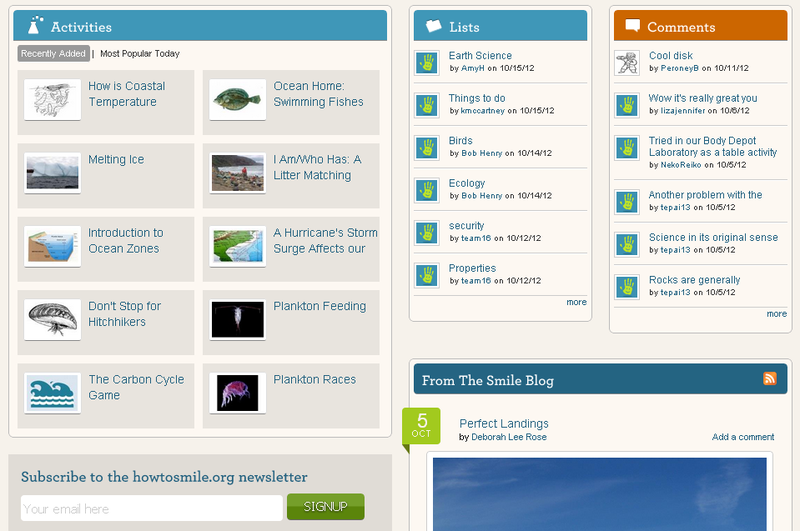 The site is searchable, has tons of activities organized by topic and searchable, comments and sharing, and much more. There is a newsletter to keep up to date on changes to the site, as well as a mobile app. There are some really great activities that can help students learn and explore topics in science and math.